Advent is coming – next Sunday, December 2, which makes for another delightfully brief Advent season (since Christmas is on a Tuesday). I think there’s probably enough time to order and receive most of these before the end of the week. And some of them are digital – so….. Single used copies also available through Amazon. No Kindle version. For more about St. Nicholas, visit the invaluable St. Nicholas Center. 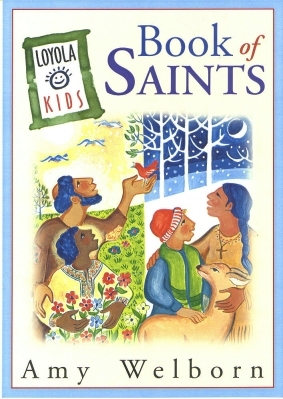 Seventeen – seventeen – years ago, I was asked by Loyola Press to write a saints book for children. I signed the contract – it would be the first book I’d written, along with, about the same time, Prove It God for Our Sunday Visitor. I procrastinated and procrastinated until it was early January, the book was due on March 1, and I had barely written a word. But I don’t miss deadlines. Even as I put off working….so I wrote the book in two months. Two intense months – and it’s still in print (as is Prove It God). And it’s pretty good! 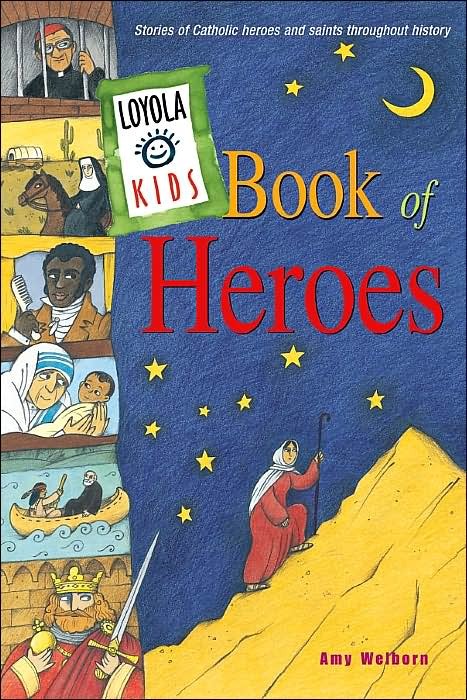 The Loyola Kids Book of Heroes followed a few years later, and then several years later, we did The Loyola Kids Book of Bible Stories. And now, here you go – The Loyola Kids Book of Signs and Symbols. I’m just so proud of all of these books. My words are okay, but what really makes them are the design and the art. I’m very grateful to Loyola for the editorial vision that produces these books and their ability to find such gifted designers and artists. Now, a word about this book. It wasn’t my idea – it was Loyola’s, as was, this time, the structure, which I think is very smart. Each entry has two pages. Top left is a beautiful illustration of the sign or symbol. Under that is a simple, basic explanation, suitable for younger elementary aged children. 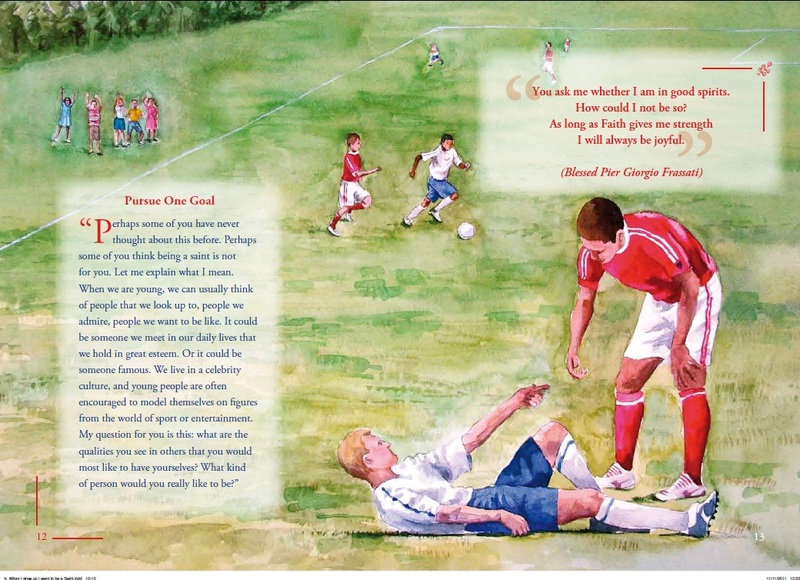 The right side page of the spread provides a more detailed explanation of the sign or symbol, suitable for older kids. The Kingdom of Heaven is like….. Think about the most important things in your life: feelings, ideas, emotions, realities, and hopes. Now try to explain these things in a way that communicates the depth and breadth and truth of what you’ve experienced. It’s hard. It might even be impossible. For we all know this: no matter how eloquent we are, what we express only touches on the surface of what’s real. What’s more, the deeper and more important the reality, the more challenging it is to adequately express. But we still try, because we are created to do so. We’re created in God’s image, which means we’re created to be in deep communion, to understand, to imagine, to love and create. And so to do so, we depend on metaphors and similes, signs and symbols. Signs and symbols are not add-ons to human communication. All communication, from letters to words to hugs to great paintings, is symbolic. For what are signs and symbols? They are expressions that represent something beyond themselves. So, yes, written and oral speech is symbolic. Gestures are symbols. Images, music, food, nature – all of what we see can be incorporated into life in symbolic ways. Spirituality involves the deepest realities of all: the human soul and its relation to the Creator. Signs and symbols play an especially rich and important role in this part of life. Signs and symbols have always been important in Christian life and faith. Human beings are, of course, natural artists and communicators, so we use symbols to express deep realities. Early Christianity developed in an environment in which persecution was a frequent fact of life, so symbols became a way to communicate and build bonds and pass on the truths of the faith in ways that hostile outsiders could not understand. Signs and symbols have played a vital role in Christian life over the centuries for another reason: for most of Christian history, most Christians could not read. In these pre-literate societies, most people learned about their faith orally, as parents, catechists and clergy passed on prayers and basic teachings. They also learned about their faith in the context of cultures in which spiritual realities were made visible throughout the year, through symbolic language and actions: they lived in the rhythm of liturgical feasts and seasons. They participated in the Mass and other community prayers, rich with symbolic gestures, images and even structured in a highly symbolic way, from beginning to end. Their places of worship, great and small, were built on symbolic lines, and bore symbolic artwork inside and out. These people might not have been able to read – but they could read. Their books were made of stone, of paint, of tapestry threads, of gestures, chant and the seasons of the year. They could indeed read – they could read this rich symbolic language of the faith. Their language was one that communicated the realities of salvation history and God’s mercy and love through images of animals, plants, shapes and design. They knew through these symbols that God is justice, God is beauty and with God, there waits a feast. …..The rich world of Christian sign and symbols is a gift for children. The simplicity of imagery meets them where they are, and the depth and richness of this same imagery prepares the soil for deeper understanding. 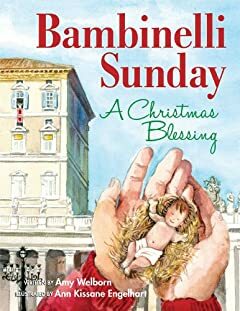 When a child’s faith is lived in the midst of a wealth of imagery at home, at church and in broader culture, she is continually assured that she is not alone, that God is present in every aspect of this world he created, and that God meets her where she is. She’s taught from the beginning this truth that the world is much more than what we can initially apprehend. She’s taught that the spiritual life involves soul and body, reason and imagination, ideas and the tangible. 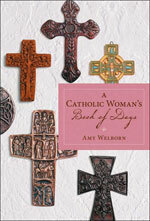 She learns to live faith in a Biblical, holistic, Catholic way. The book is available from Loyola, of course. It is listed on Amazon, but apparently not yet in the warehouse. 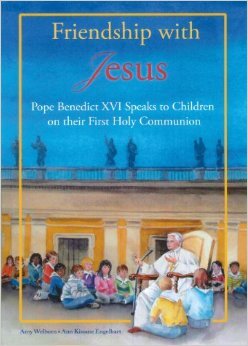 If you have a local Catholic bookstore, let them know about the book. I’d appreciate it. I have copies here. I have loads, and I also have a lot of the Bible Stories. You can order them through my bookstore here, or if you want to do the exchange outside of the PayPal Universe, email me at amywelborn60 AT gmail. All right – first things first. As in…my things. I was in Living Faith on Monday – here’s the link. Look for an entry next Wednesday, as well. Also check out Instagram this weekend – there’s a road trip happening. 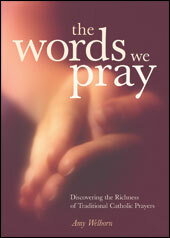 The cover for my next book is up for viewing at the Loyola Press site! 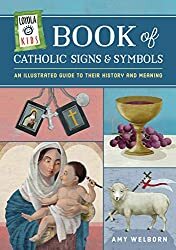 Coming July: The Loyola Kids Book of Signs and Symbols. It’s a series of books with which I’m very pleased – due in no small part to stellar design and artwork, for which I can take no credit. 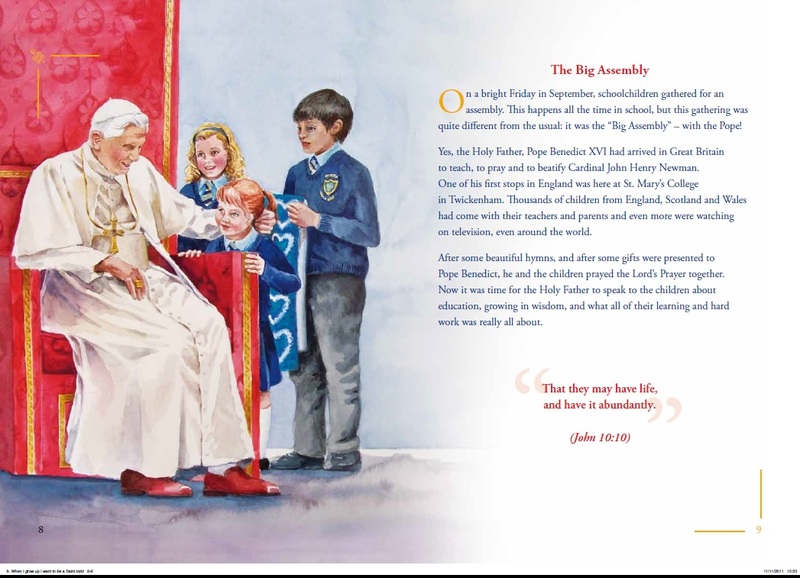 Please check out the whole series here and consider gifting it to your local Catholic school, parish – or even public library! I would like too to explain the digging up from a magazine of the twenties of a detective story, “Murder for the Wrong Reason” Reading it more than sixty years later, I found that I couldn’t detect the murderer before he was disclosed. I found it comforting because this week I noticed that book to which I was allegedly a contributor was being published this summer. I had no recollection of this essay, but a quick search through my files revealed that yes, I had written said essay in March of 2017, sent it in and even invoiced for it. Once I reread the piece, I did, indeed recall it in detail, but there were those few moments before that in which you’d asked me out of the blue, Hey , what about that essay you wrote for the Living Faith collection? I would have stared at you…blankly. Granted, there’s a big difference between a sixty-year memory glitch and..well…one year. But still. I’ll take that small comfort, if allowed. PDF sample available here, and here’s the Table of Contents. With my name in it, indeed. More book news (for those who only come here on Fridays) – I’ve made How to Get the Most Out of the Eucharist available as a free pdf here. It was in these dangerous circumstances that Fr Gerard, a tall and dashing young Jesuit, landed by night on the Norfolk coast, shortly after the defeat of the Spanish Armada, when anti-Catholic feelings were at a high. Disguising himself first as a falconer and then as a country gentlemen, he met contacts in Norwich who introduced him to a network of Catholic sympathisers across Norfolk and nearby counties. Moving from one country house to another, Fr Gerard managed to persuade their owners, at substantial risk to themselves, to use their houses as centres for building local Catholic communities. In the process he made numerous converts to the faith, at least 30 of whom subsequently became priests themselves…. After three years Fr Gerard was moved to the Tower of London where he was further interrogated and badly tortured. But despite being weakened by imprisonment and ill treatment, he engineered a daring and ingenious escape across the moat, listed by Time magazine as one of the 10 greatest prison escapes in history. Somehow he managed to resume his activities and continue his mission for another eight years, until he was forced to leave the country in the aftermath of the Gunpowder Plot. As a priest, he knew several of the plotters and was quite close to at least one of them, whom he had converted to Catholicism. Robert Cecil, James I’s spymaster and principal adviser, wanted to pin the blame for the Gunpowder Plot on the Jesuits and on John Gerard in particular, whose earlier escape from the Tower had not been forgotten. But despite extreme methods, Cecil was unable to extract any credible evidence against Fr Gerard. Under interrogation and in one case torture, the two surviving plotters “admitted” that he had said Mass for them after their first meeting, but both firmly insisted that he had no knowledge of the plot itself. Another of the plotters wrote that they had deliberately kept him in the dark, because they knew he was opposed to violence and would have talked them out of it…. Obianuju Ekeocha, the founder of Culture of Life Africa, has written an open letter to MPs ahead of a Westminster Hall debate tomorrow on “Access to reproductive rights around the world”. 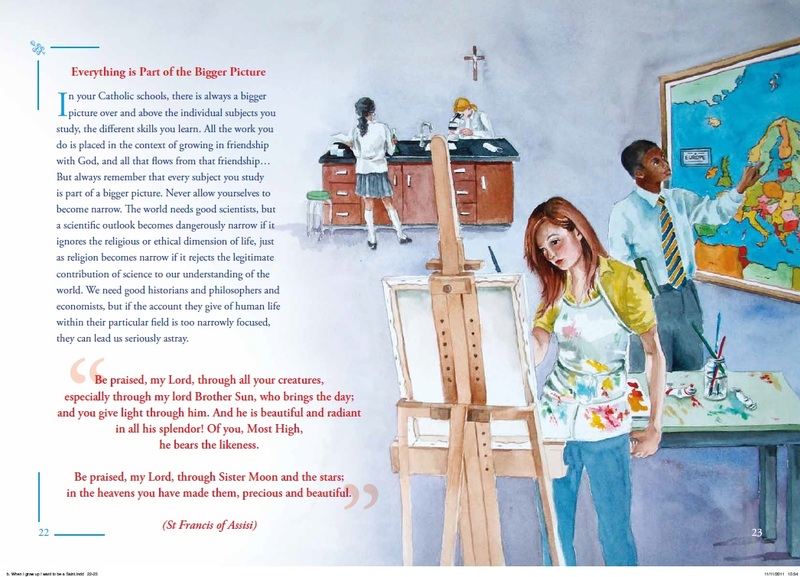 Great news for Catholic education in Birmingham – one of our already excellent Catholic schools is taking it up a notch and going classical – in other words, thinking with the mind of the Church on education.